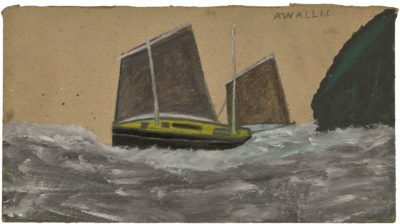 Alfred Wallis was a Cornish artist and mariner. He lived and worked in St Ives and only took up painting following the death of his wife in 1922; he was completely self taught. Wallis’ work was much admired Ben Nicholson and Christoper Wood and his works were included in the 1929 exhibition at the Seven and Five Society in London.